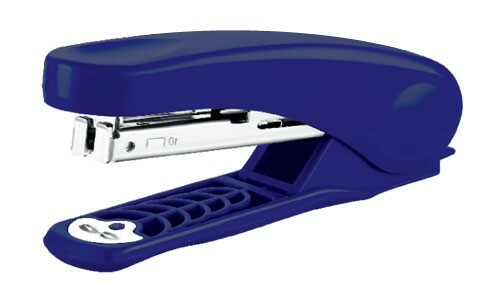 Lightweight stapler with soft stapling. INDICATES LOADING OF STAPLES FROM TOP. Indicate maximum insertion paper depth. The base length of depth is 41mm.